For Dressing: Whisk together olive oil, rice vinegar, lemon juice salt, pepper and cayenne pepper (if desired for spicy vinaigrette). 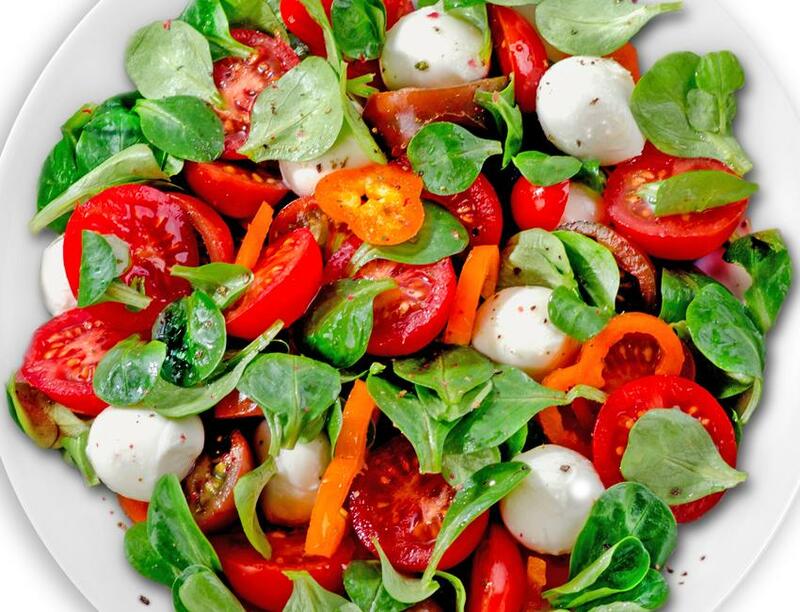 For Salad: Add the bell peppers, cherry tomatoes, mozzarella cheese balls and baby spinach to a medium sized bowl and mix together. Then pour desired amount of dressing over the salad and enjoy!